With school back in session, my girls are always wearing jeans. So, I thought it would be fun to reclaim a few D rings and make a fabric belt! Cut fabric X” by Y”. If your fabric is light weight, cut the same size piece of interlining. 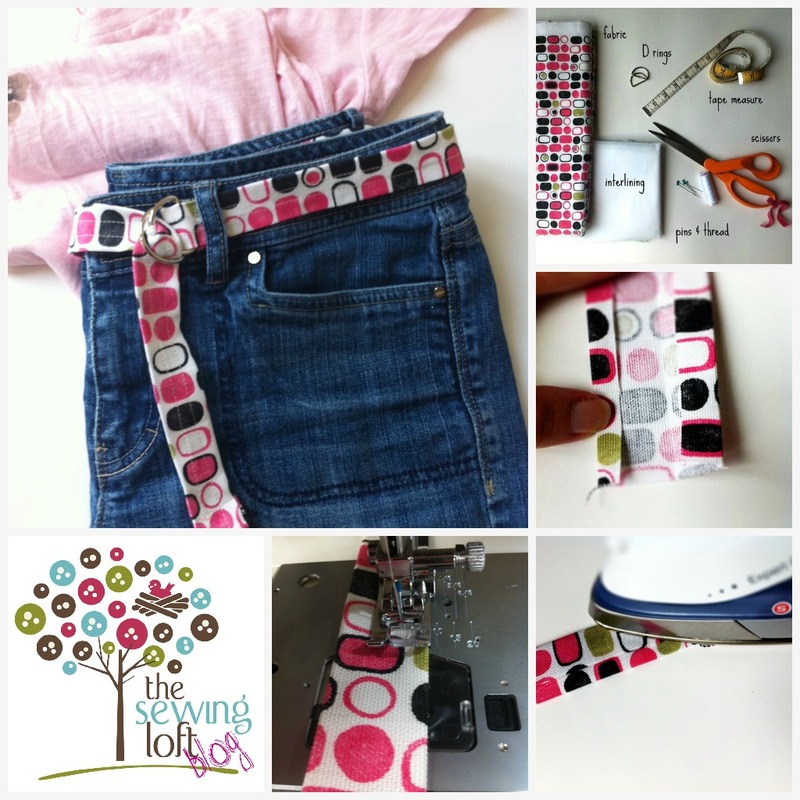 Fold under 1/2″ seam allowance each side and press. Fold in half and stitch along each side. Have fun here and get creative. Think about using a decorative stitching, embroidery thread or even adding a layer of ribbon. To clean finish the tail end, double fold and press. Stitch in place. At the loop end, fold & press 1/4″ seam allowance; stitch in place. Slip 2 D rings through; fold back and stitch in place. Be sure to back-stitch here for stability. Grab your favorite jeans, toss on a tee and you are all set! **Looking for a no sew option- no problem! Just just some double sided fusible in place of stitching. ps- if you are wondering where I reclaimed the D rings from – they are from an old apron used to make this tote bag. This is a great project for the beginner. No doubt your girls are using up all of your fabric scraps to make dozens of great D ring belts. I think I will have to make a couple of these. thanks for the really clear instruction. How awesome is that! Thanks a bunch for the visit and letting me know.